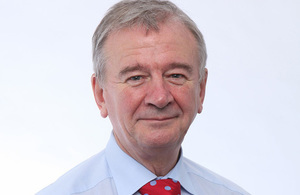 The Secretary of State Chris Grayling has appointed Sir Terry Morgan CBE as the new Chairman for HS2 Ltd. He will take over from Sir David Higgins on 1 August 2018. Sir Terry has been the Chair of Crossrail Ltd since 2009 and brings a wealth of experience to HS2 Ltd from many years working in the industry. He was formerly Chief Executive of Tube Lines, a PPP company that was contracted to maintain and upgrade the infrastructure of the Jubilee, Northern and Piccadilly lines, and held leading roles at BAE Systems, Rover Group and the Chartered Management Institute. He has an MSc in Engineering Production and Management, is a Fellow of the Royal Academy of Engineering, the Institution of Engineering and Technology and the Institution of Civil Engineers. "Sir Terry’s appointment as Chair of HS2 ensures that we will continue to see world-class leadership in an exciting period for one of Europe’s most significant infrastructure projects, helping deliver huge economic growth and improvements for passengers across the country. "His wealth of experience and expertise, demonstrated in numerous leading roles including overseeing the ambitious Crossrail project, as well as his respected reputation and enthusiasm, will be invaluable in the project’s continued success. "I also extend my great thanks to Sir David Higgins, who has led this project with determination and vision. He has brought huge expertise and experience to the development of the project and to making the case for HS2 as a driver of economic transformation." "It is a privilege to take up this crucial role with HS2 – a railway that will help transform this country through better connections for over 300,000 passengers every single day. "HS2 will be a driving force behind greater prosperity and productivity across the country, unlocking opportunities for growth and regeneration and building a transport network fit for the future. I look forward to meeting the team and beginning the vital work of taking this magnificent project from strength to strength." "It has been a privilege to work on HS2 and watch the project grow from concept to the point of construction. Terry is the right person to not only continue that process but lift it to the next level. "During the past 4 years local authorities and business leaders in the midlands and the north have not only recognised HS2’s potential to re-balance the national economy, but have also made it an integral part of their plans for the future. Terry has the experience and expertise to keep delivering to that ambitious agenda." "As we continue the process of moving from design to construction, HS2 is stepping up a gear. In our short history we have contracted over 2,300 small, medium and large firms across the country and that process is only going to keep picking up pace in the next few years. As we continue to evolve as an organisation to meet that challenge, the guidance and direction that Terry will bring to his role will be vital. "We will shortly also announce the appointment of a Chief Operating Officer and Chief Finance Officer — further signs of HS2 getting ready for the challenge ahead." The Transport Secretary has also announced that Ed Smith CBE has been appointed as a non-executive director of the HS2 Ltd board. Non-executive board members are senior figures from outside government, appointed to provide challenge to government departments. As set out in the government’s code of practice, non-executive board members should be appointed directly by the Secretary of State and are not civil servants.